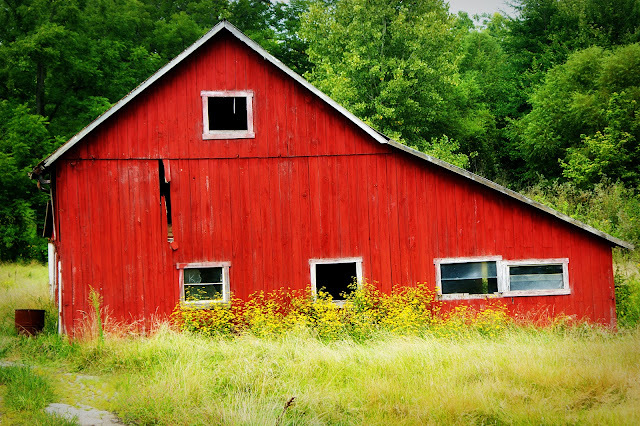 A barn we saw on a happy day driving somewhere together on an Indiana road. This barn grabbed us, so we stopped and turned around to capture it. I love it. It still grabs me. "As much as I converse with sages and heroes, they have very little of my love and admiration. I long for rural and domestic scene, for the warbling of birds and the prattling of my children. " Love, love, love the barn photo! I (gasp) need (gasp) green!!! Cold chills - that's a gorgeous picture!